One of the priorities of the “Turkish National Maritime Research Strategy (TUDAS) Document,” approved by the Council of Ministers, is the improving and strengthening of strengthening of research and education capacity in the field of the sea and maritime law. Following the recommendation of the Turkish Ministry of Foreign Affairs to achieve such purpose, Ankara University established Ankara University Research Center of the Sea and Maritime Law (DEHUKAM) in 2015. 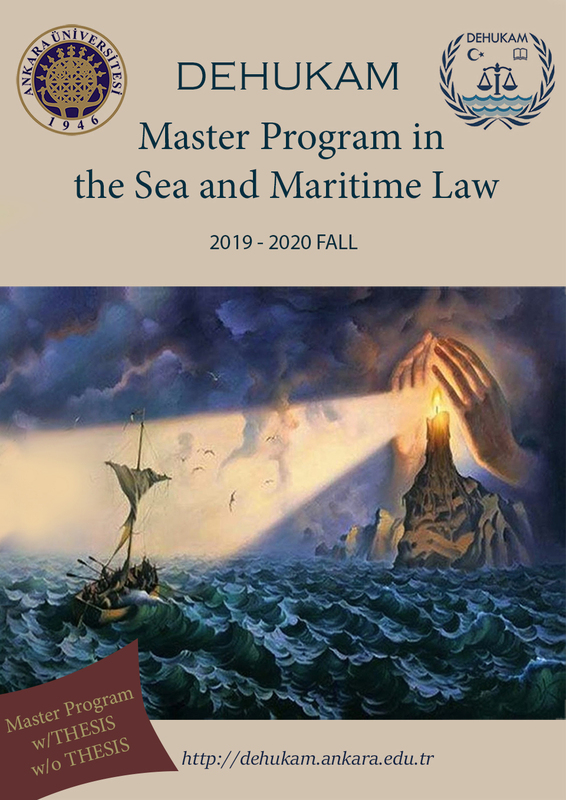 With the aim of training persons to qualify in the sea and maritime law, DEHUKAM, apart from organizing or participating in international symposiums, workshops and courses, and from collaborating with other key institutions in the World, runs DEHUKAM LLM Program in the Sea and Maritime Law as was approved by the Turkish Council of Higher Education. This program provides a master’s degree (without thesis), for law graduates and those from other disciplines. During the program, and depending on their performance, an opportunity to obtain a ‘master’s degree with thesis’ will be provided to participants who qualify and wish to pursue a doctoral (PhD) degree program. For others to apply for the master degree with thesis, participation in the scientific preparation program is mandatory. Although the program is primarily intended for evening classes, some may be held during working hours, in order to facilitate the participation of faculty members from abroad. The Program comprises of more than thirty courses focused in three major units in the field of: (i) International Law of the Sea, (ii) Maritime Law, and (iii) Maritime Security Law. DEHUKAM’s aim is to offer a program that will, among other things, enable its attendees to specialize in maritime security and safety law in the benefit of not only law graduates but also coast guards, navy and port security personal. DEHUKAM is open to negotiate cooperation protocols with foreign embassies in Turkey or any foreign institutions on exchanges of foreign students and visiting faculties in support of the Program. Faculties who will deliver courses in the program will be from Turkey as well as foreign countries, with each faculty being a specialist and/or practical expert in its academic field. Tuition, fees, the date of application, the form of the exam and the other conditions for participation in “Master Program in the Sea and Maritime Law” will be announced on our web site. For this reason, candidates wishing to participate in our program are expected to follow our website. To access the recommended books list for the candidates, please click here.